Running an Effective Business Page – Part 2 - Illusive Design Inc.
Hey, this is now part 2 of our previous entry, a discussion on the ways to successfully run an effective business page using social media platforms. So the preceding write up discussed ways to create lucrative business pages on Facebook and Instagram, so today we’ll be discussing how to make a successful Twitter, Pinterest, and Google+ pages. The first step in creating an effective Twitter page is to create an engaging profile. A way to tell if a profile is engaging is if it allows its audience to associate it’s brand with a specific person rather than a generic image. The way to do this is by placing a person as your display photo instead of just a logo, create a face for the company. Also, try to make your bio with a bit of personality instead of just a generic introduction of your company. Consistency is key to most of the successes we achieve in life, as is the case for Twitter profiles. Real-time posts to up your visibility is a great way of keeping your brand in the back of people’s minds, the more they see your posts the easier they’ll remember your brand. However, succeeding posts all day long need not be the case. You may do tests to see the most effective time for posting tweets. Try posting in the morning one day, noon the next, afternoon the next, then early evening, night time, midnight, or during wee hours and see which times of the day get the most traffic or the most engagements from your followers. If you decide that you want to be visible 24 hours a day then assign shifts for the people in charge of your tweets. In order for people to notice your page you have to make an effort to get reactions. A great way to get noticed is by asking questions. Start with questions relating to the most trending topics of the day since more people are talking about that then most likely they’ll notice your post as well. Also engage with popular pages to maximize your visibility. Interaction is always a 2-way street and asking questions as well answering others’ is a good way to start and maintain your campaign. Your tweets should be constructed thoughtfully. For the sake of consistency, some accounts just put up random things about their brand. Although you aim to achieve the same visibility always take into consideration how your tweets sound to those who are reading. This ups the chance of them actually reading your tweets and getting in touch with you. Appreciate those who give you attention. Retweeting is free and it’s the best way to make your followers feel that you value their opinions. Choose followers who support your work and others will follow suit. Pinterest works with visual aspects of marketing it is dubbed as “the perfect venue to visually share shoppable new products, how-to’s, and cool images. It’s a place to get inspired by beauty” by Sephora’s CMO & Chief Digital Officer, Julie Bornstein. For successful Pinterest marketing is to stay organized. Make sure to utilize just one pin per campaign and keep your board as easy to understand as possible. Use keywords. Although this is still under organization, keywords for Pinterest give your campaign structure that allows for branching out of topics. Imagine a tree and its branches and twigs; keywords pretty much define how the tree grows. It is also a good tip to try and learn the keyword algorithms for Pinterest. Creativity goes a long way with platforms such as Pinterest and repurposing of organically successful pins is allowed. Make your board as visually pleasing as possible and couple it with the most appropriate keywords for organization and you might just get that breakthrough pin. The best pins are those that have the greatest organic reach and when you achieve that, it becomes the path for people to discover your campaign. It’s no surprise that one of the major considerations when maintaining a Google+ page or any page for that matter is SEO or search engine optimization. I’m almost certain that you are already familiar with SEO but for those who aren’t you can try looking for backgrounds and principles online since going into an in depth discussion would require an entirely different and very detailed write up. Anyway, Google+ has great SEO benefits so making use of these is a surefire way to get a lot of people follow to your campaign. In order to maximize the SEO benefits of Google+ you must entire the exact location of your business if you have a physical address. A verified exact address on Google+ puts your business on Google Maps and in turn makes it a lot easier for people to find you on Google search results. You may also employ the use of keywords and hashtags that relate to your brand for bigger chances of being found when people search. Google+ Collections. Collections allow categorization by topic of updates, which allow easy finding when people do a search. This ensures that they find your page, see that you post a lot that relates to their interest thereby resulting to them following your campaign. There are a lot of examples for you to check and use as a guide when you search online. 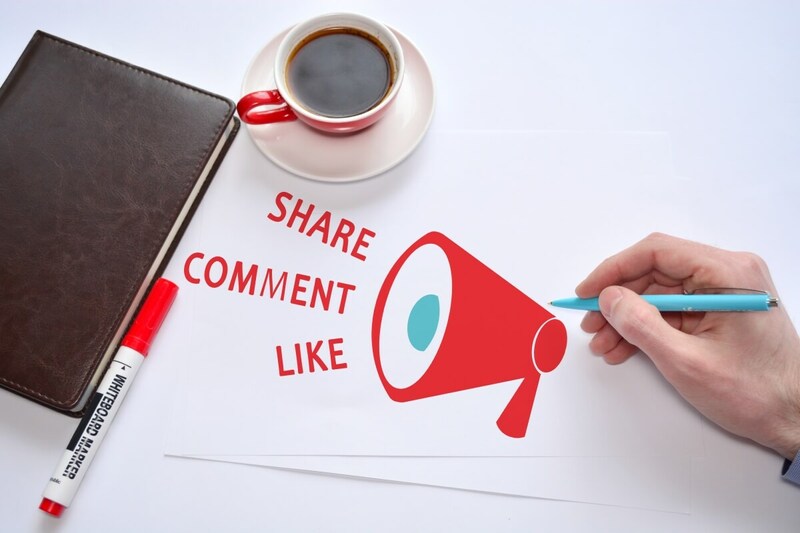 Companies tend to post original content on their pages as to avoid copy write issues but third party posts are an untapped resource when it comes to marketing not a lot of people know that citing a post and sharing an insight is a legit way to drive traffic into your page. Also, by doing this you set yourself up in the eyes of your followers as a subject matter expert and ensuring that you put up trustworthy insights result in your followers looking forward to your posts each time. Spruce up your page. Make your page as appealing as possible by adding videos from YouTube. Google+ allows direct posting of YouTube videos on your page. You can also link your YouTube channel to your Google+ page as this lets any user view your videos in a separate tab. Select the option to use a business or other name. You can also go to your advanced account settings and click Brand Account. Choose one of following options to set the new name for your YouTube channel and then click Next. There you are, sure fire ways to promote your brand via effective social media platform campaigns. They may seem quite challenging and intimidating at first but continuous research and consistent on hand experience will pave the way to mastery and success. Check out some of the brands that you already follow and see how well they’re doing and compare some strategies that they use with yours. Once you get the hang of social media marketing you’ll open doors for your business that you didn’t even know existed. Good luck on your endeavors and may all of us be successful. Until the next post!